Mother-daughter duo Sara Ali Khan and Amrita Singh among other stars attended the birthday party of their designer friend Abu Jani, which was hosted in Mumbai on Wednesday night.Simmba actress Sara Ali Khan looked elegant in a traditional white outfit. Sara Ali Khan was photographed arriving at the party. 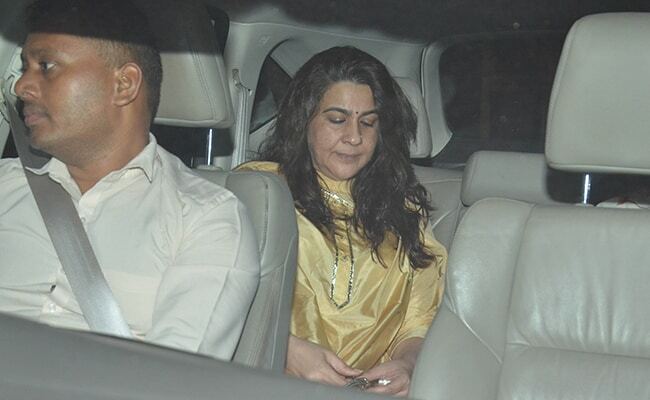 Amrita Singh was Sara's plus one at the party. Interior decorator Sussanne Khan looked pretty in an all-white outfit. Rhea Kapoor opted for a classic white shirt, which she paired with blue denims.